Welcome to the best introduction to near-death experiences (NDEs)! You are welcome to take this course without CEU credits at no cost. This self-guided audiovisual course will be an experience you will not forget. After an introduction that summarizes decades of research at major universities and health care centers, you will hear people who have had near-death experiences speak for themselves. You will learn from them, in their own voices, about the typical motifs that occur in NDEs and what it feels like to experience them. This is the next best thing to being in a room with a group of experiencers to hear first-hand what it is like to have an NDE. The course takes a little over one hour to complete. This course requires a computer and security settings that allow you to download and use the most current version of Flash Player. If you do not have the most current version, you may see a message and a link to download Flash. Follow that link for additional instructions and system requirements.
. Then click on the Go to Course button and follow the instructions. 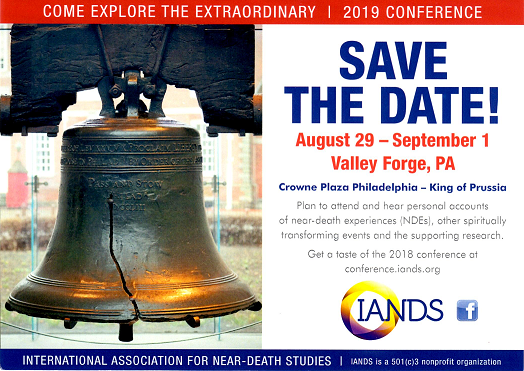 We will let you know about other education opportunities about NDEs and news of interest from IANDS, including the availability of future modules of this course. You will be able to unsubscribe easily at any time if you wish.